An astronaut's view of a new world. This week in movies you missed: Call this the Summer of Cheaper Blockbuster Substitutes. Last week I watched Monsters, the cheaper version of Godzilla. This week I check out the under-$10-million version of Gravity. Is a bigger budget always better? Six months along on their lonely voyage, the astronauts lose their communication line with Earth. When they try to repair it, disaster ensues. As a result, humanity has been in the dark about the Europa mission's outcome — until now, we're told. The found-footage film poses as a documentary exposé, presenting footage from the ship (and outside the ship, and the crew's helmets) along with talking-head commentary from the scientists who designed the mission, played by Embeth Davidtz, Isiah Whitlock Jr. and, bizarrely, comedian Dan Fogler. We know early on that one crew member has been killed — but not how, or what happened next, or whether anyone survived. Europa Report was filmed in Brooklyn with an international cast under the direction of Sundance-awardee Sebastián Cordero. It played 12 U.S. theaters in 2013 and is now on DVD and Netflix and Amazon Instant. 1/4. Here's where Gravity unquestionably has the edge. Europa Report imagines the vastness of space on the cheap, with most scenes set inside the spacecraft and shot on regular old sets. You'll have to supply the terror of the void yourself. The VFX, when they do appear, look OK but not stunning. 4/4. For a found-footage film, Europa Report has a well-rounded and thought-out plot. This is true science fiction, not horror; there are no jump scares, though scary things happen. (With minimal alteration, in fact, Europa Report could work as the prequel to Monsters.) The film strikes a balance between action and TV-style procedural, with emphasis on the latter: Everything that happens is carefully explained with oodles of science jargon, giving the film plausibility as a documentary in an alternate world. 4/4. I'm not qualified to judge the accuracy of the science, but The Core this is not. Europa Report sticks to a scenario that seems believable to this layman, both technically and psychologically. For better or worse, don't expect it to go off the rails into psychedelic territory like 2001: A Space Odyssey or Danny Boyle's Sunshine. If you lost all faith in Prometheus when its scientists started poking alien life forms and not acting remotely like scientists, this is a movie for you. 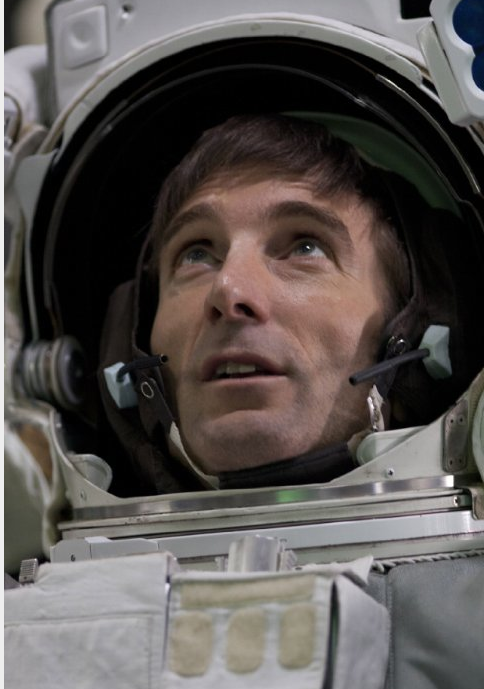 However, the actors are good enough to give their characters a certain presence — particularly Sharlto Copley as an engineer and Romanian actress Anamaria Marinca (unforgettable in 4 Months, 3 Weeks and 2 Days) as the pilot. 4/4. Most movies about "discovering alien life" are actually monster movies in disguise. I love Alien as much as the next person, but Europa Report is something different. It lays aside the whole issue of whether extraterrestrials would eat us (and how quickly, and with what garnishes) and takes very seriously the questions of what it would mean to discover alien life, and how much a person would sacrifice for that discovery. Anyone who goes in expecting monster mayhem will be disappointed. I found the movie refreshing — and moving, partially thanks to the stirring soundtrack by "Battlestar Galactica" composer Bear McCreary. Verdict: 16/20. It doesn't have Gravity's spectacle. But if you liked that film's recognition that space doesn't have to be full of monsters to precipitate an existential crisis, Europa Report is well worth a look. The X-Men explore Days of Future Past, which means Michael Fassbender and James McAvoy are gonna be in this one and I'll be there. Meanwhile, Adam Sandler and Drew Barrymore play single parents trying to make a love connection in Blended. At the Roxy, check out the slavery-era drama Belle and the food-cart-centric comedy Chef. 3 Days to Kill, About Last Night, In Secret, The Monuments Men, Pompeii, Vampire Academy. Oh, and if you have Netflix Instant? Read this. It's hilarious. Europa Report is not showing in any theaters in the area.